Have you taken inventory of your kitchen lately? If it reminds you of a Tupperware graveyard filled with old, warped plastic containers that have been collected over the years thanks in part to your Chinese takeout addiction, then we have just what the doctor ordered. These 16 gorgeous storage options will completely revamp the look and feel of your culinary space, making storing and organizing your food almost as fun as eating it. 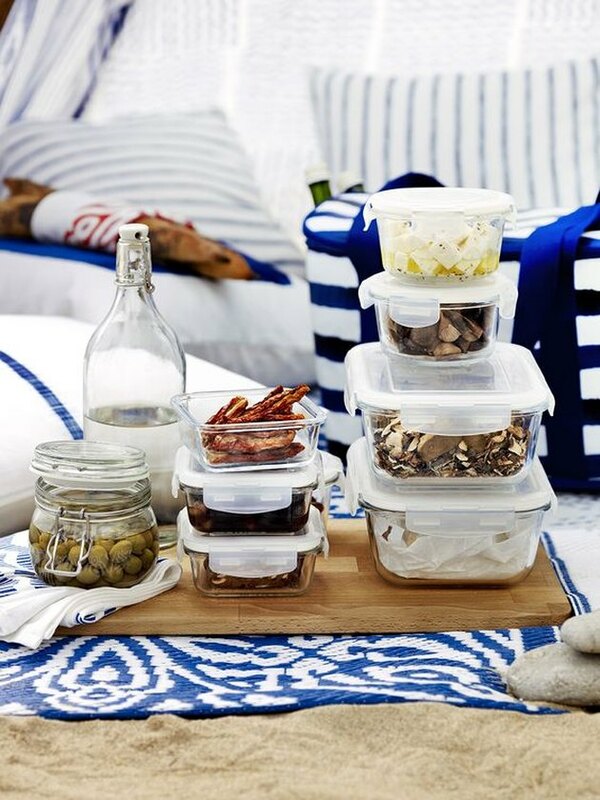 Durable enough to go in the oven and pretty enough to serve at dinner parties, these glass beauties are a food storage one-stop-shop. They even come with leak-proof lids for fast and easy clean up, giving you more time to tend to your food coma. Buttering your toast has never looked so good! 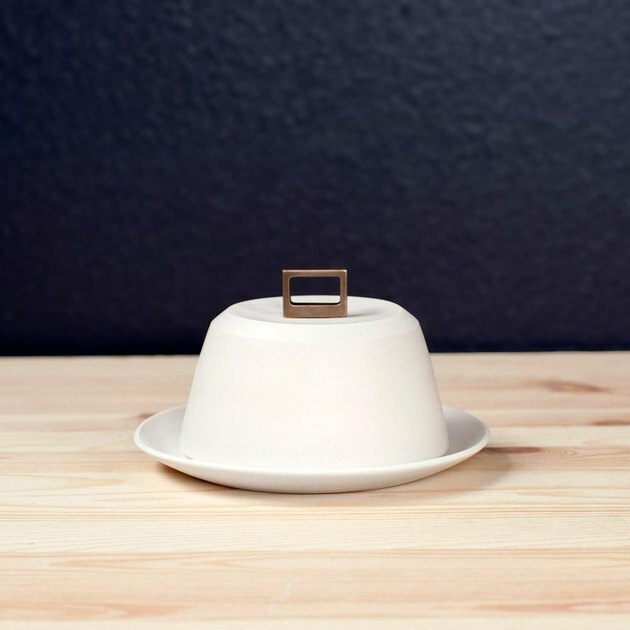 Adorned with a bronze handle, this elegantly hand-thrown porcelain butter dish will be the center of attention at your next Sunday brunch ... that is until your guests taste your (and by "your" we mean Martha Stewart's) homemade maple butter. 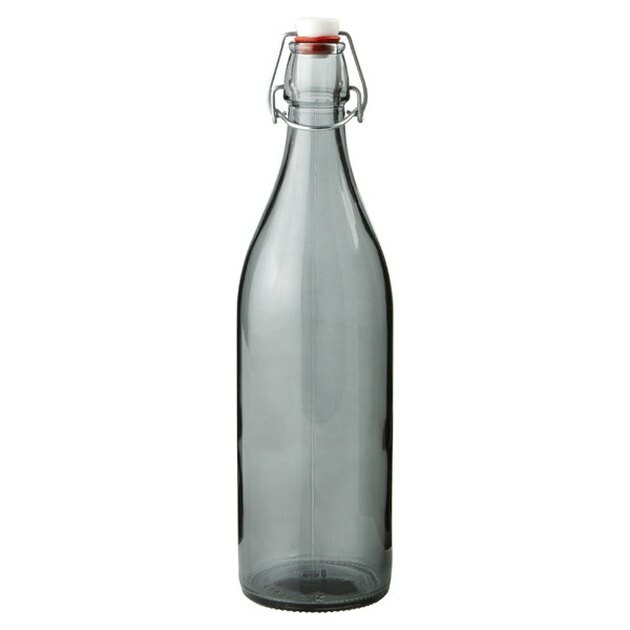 You have to admit: This slate-hued glass bottle is downright dreamy. And with a hermetic clamp stopper that comes with a rubber seal, you can rest assured that your cucumber and mint infused water will be refreshing down to the very last drop. Add a fun pop of color to your kitchen countertops with these turquoise gems. 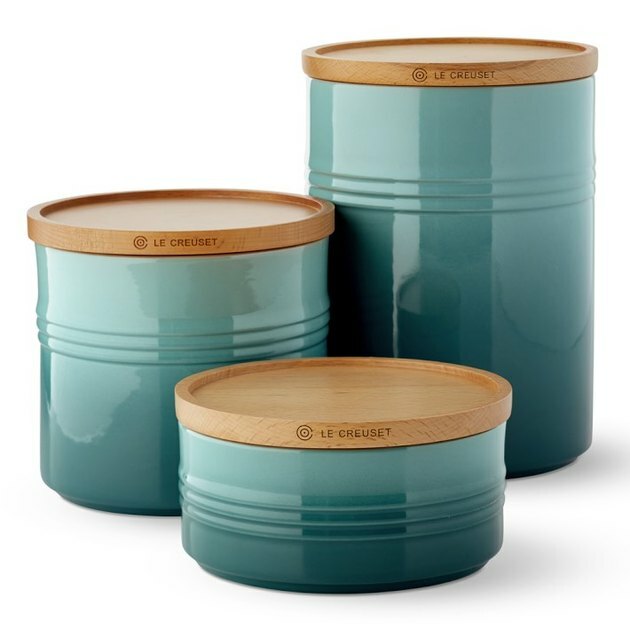 The subtle ombre coloring paired with beechwood lids gives these stoneware canisters a modern edge that won't go unnoticed. Ditch the unsightly plastic packaging that your must-have granola comes in and transfer it to one of these curved glass containers, instead. 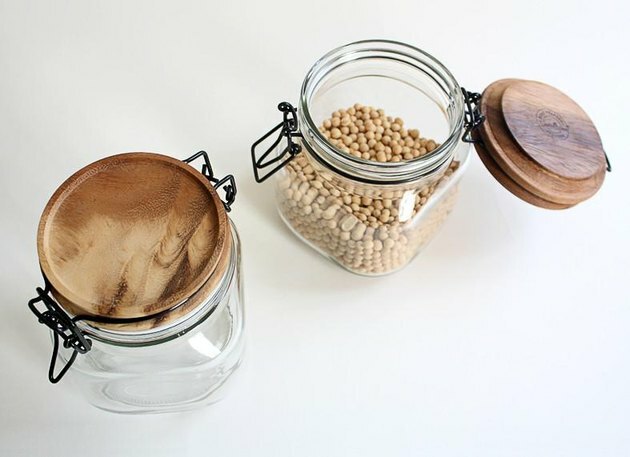 Ideal for dry goods such as nuts, grains, seeds, and more, these acacia wood-topped jars have a silicone ring which creates an airtight seal that locks in freshness. 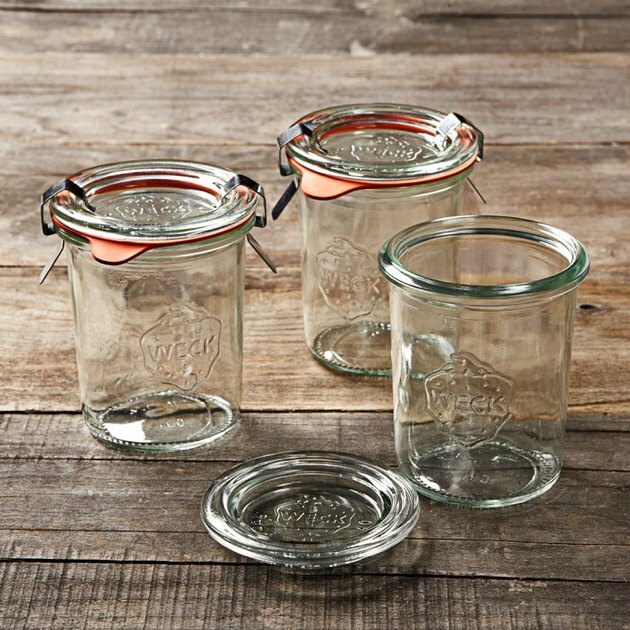 Your farmhouse kitchen just isn't complete without these vintage-style weck jars. Whether you fill them up with yogurt parfaits or your favorite marmalade, these little glass containers will add a hint of rustic charm and the food inside will reveal a beautiful dash of color. 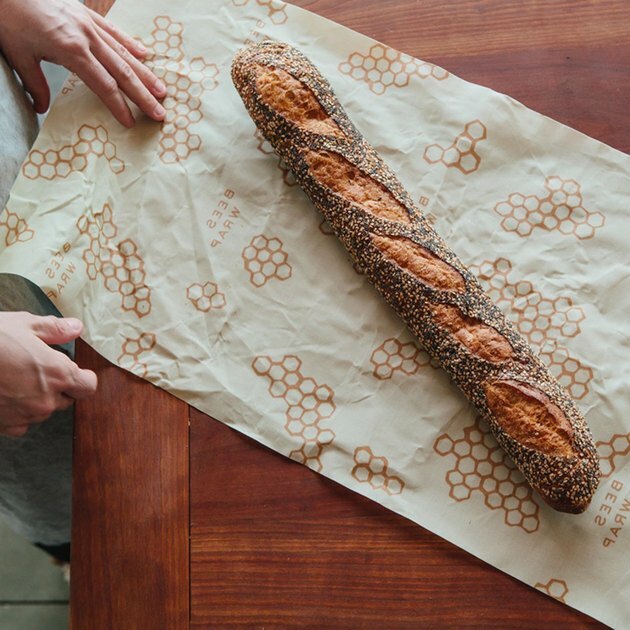 You can say goodbye to the days of struggling with plastic wrap in an attempt to preserve the perfect soft-on-the-inside, crunchy-on-the-outside balance of baguettes from your corner bakery. This sustainable option made from beeswax and organic cotton is reusable and is just the right size to store your freshly baked loaf of bread. These glass containers stack up to the competition ... literally. 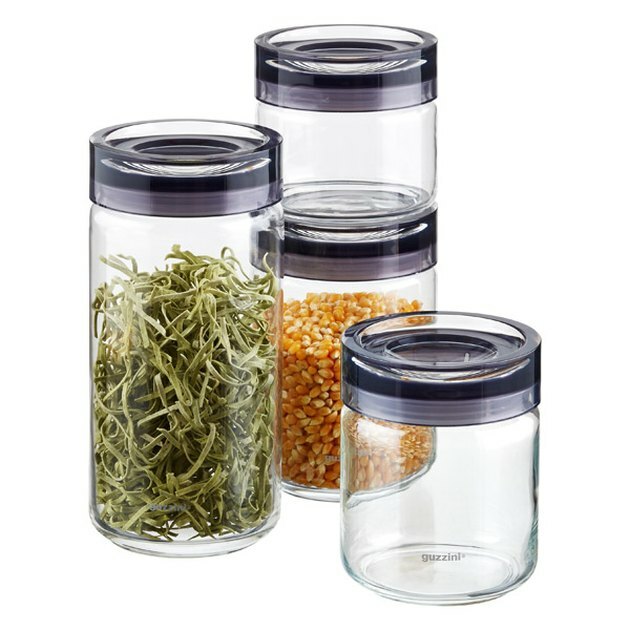 Made from borosilicate glass, each lid is designed to fit into the bottom of each canister so you can stack them up on your marble countertops, or in your highly organized pantry, to your heart's content. 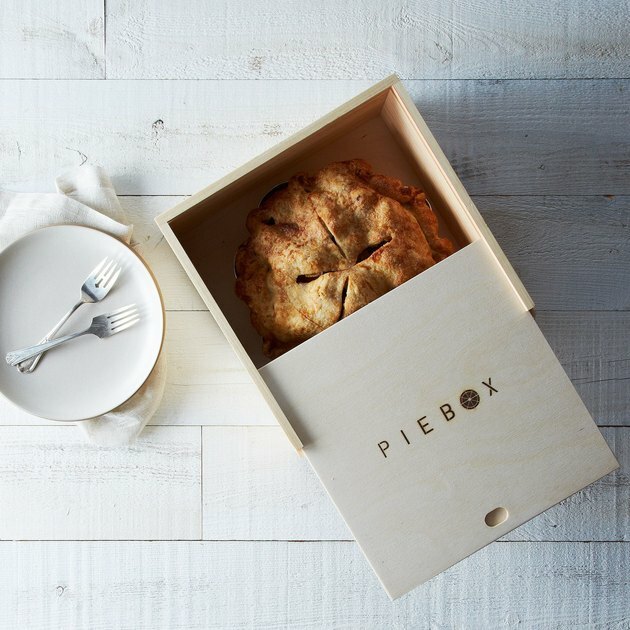 Your world famous apple pie might not be available in stores ... yet. 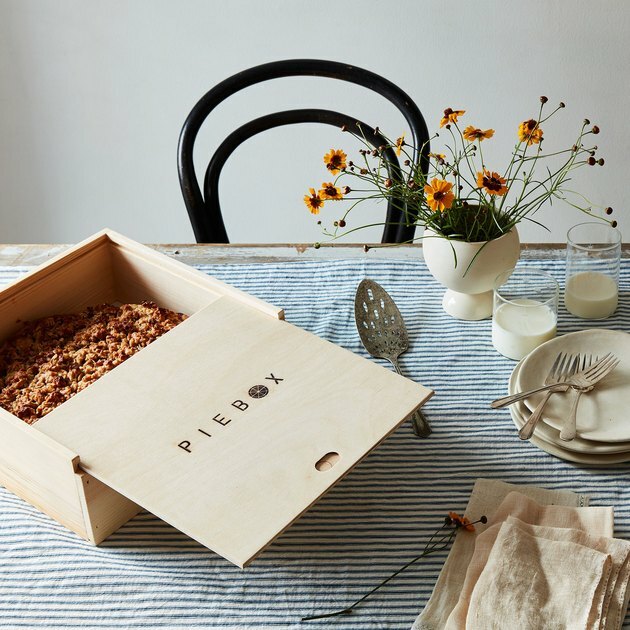 But we think pastry genius like yours deserves to be displayed in a stunning container like this handcrafted, reusable raw pine box. Don't let the packaging of your favorite olive oil and vinegar ruin your highly edited and color coordinated pantry. 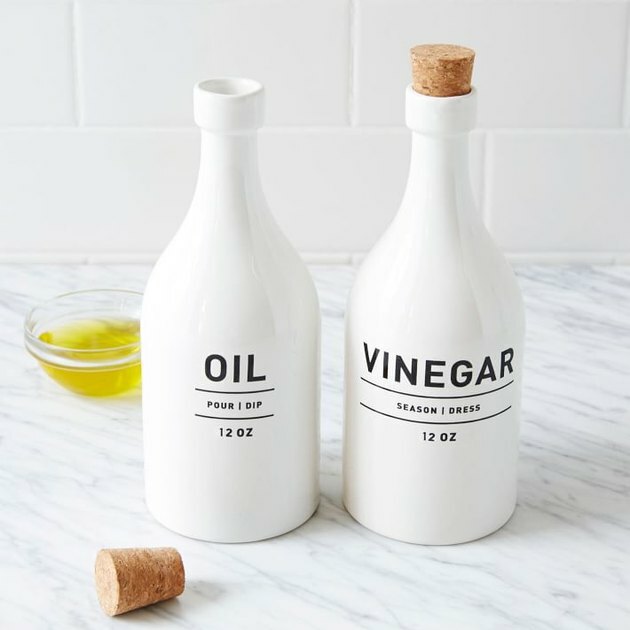 Opt for these white stoneware bottles with cork tops to store your go-to salad dressing duo, and avert a kitchen aesthetic disaster. When it comes to your morning cup of joe, you don't play around. 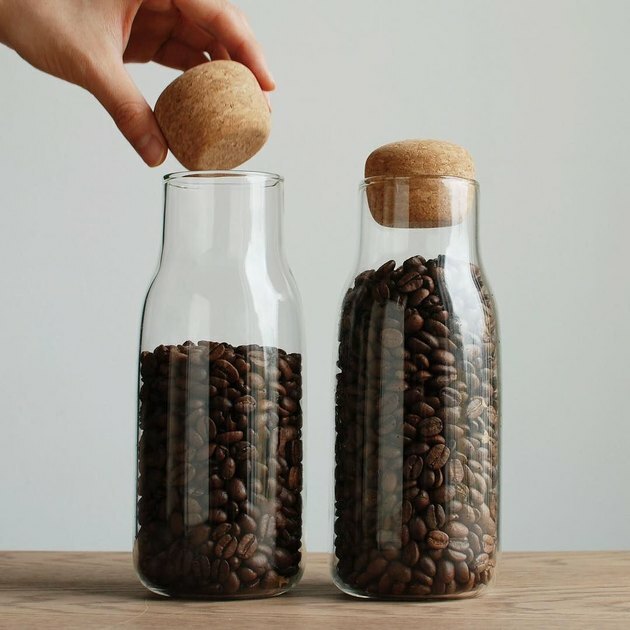 So lock in the freshness of your beloved, gourmet roasted coffee beans with these bottle-shaped glass jars. Each container is topped with a cork stopper that results in an airtight seal, which means each and every cup brewed will be as rich as the last. Old canning jars just got a stylish makeover and we could not approve more. The beautiful acacia wood tops with black wire bail closures make these containers the perfect rustic accessories for your modern country kitchen. 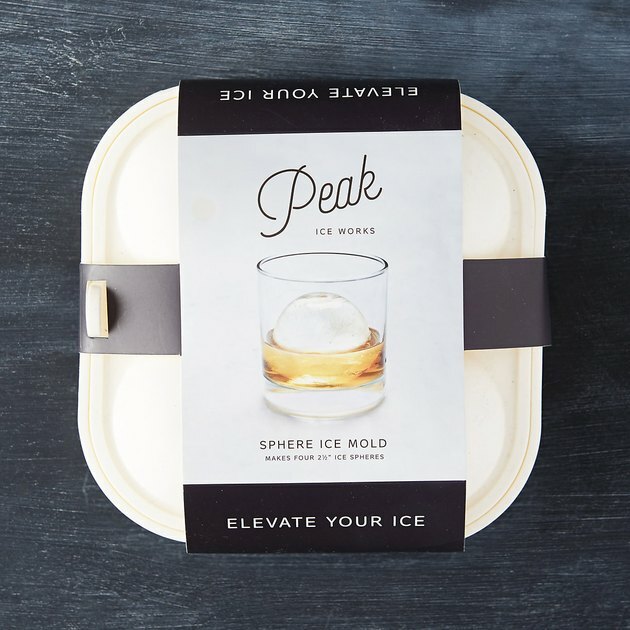 Once you've tried these sphere-shaped ice cubes everything else will just seem inadequate. Formed in a BPA-free silicone tray, these frozen orbs take longer to melt than traditional shaped ice cubes so you no longer have to chug your cocktail just to prevent it from becoming watered down. If you've ever come across The Home Edit's Instagram account, then you already know that they are the masters of organization. 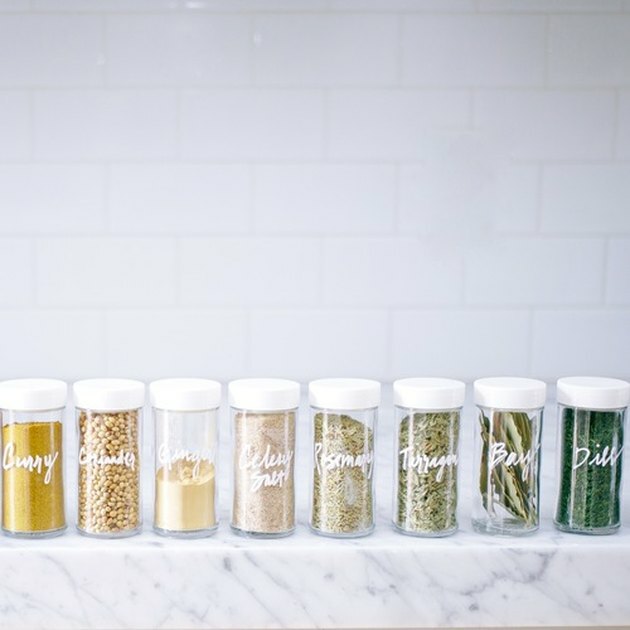 But you may not know that they offer these perfectly-sized glass spice jars that are hand-labeled and completely customizable so you can name each jar whatever you want. Have you ever started putting away the leftovers from dinner only to realize you have about three spoonfuls of guacamole left and zero small containers to put it in? 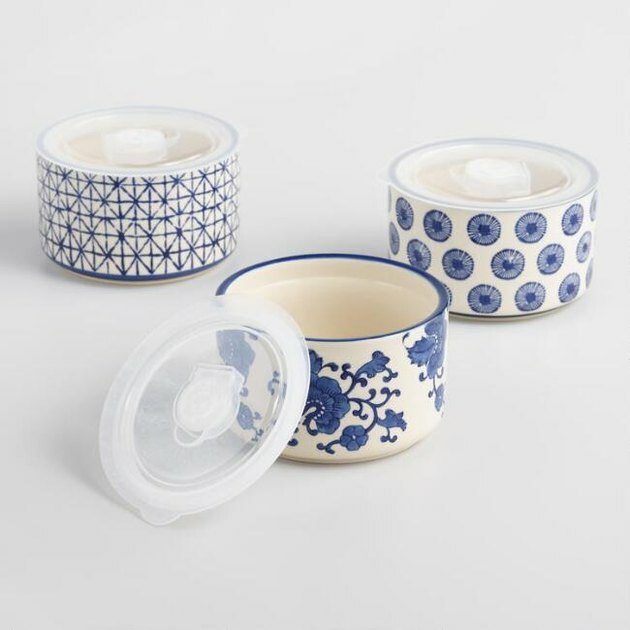 Well, you can kiss those frustrating days goodbye thanks to these little indigo blue ceramic storage bowls. 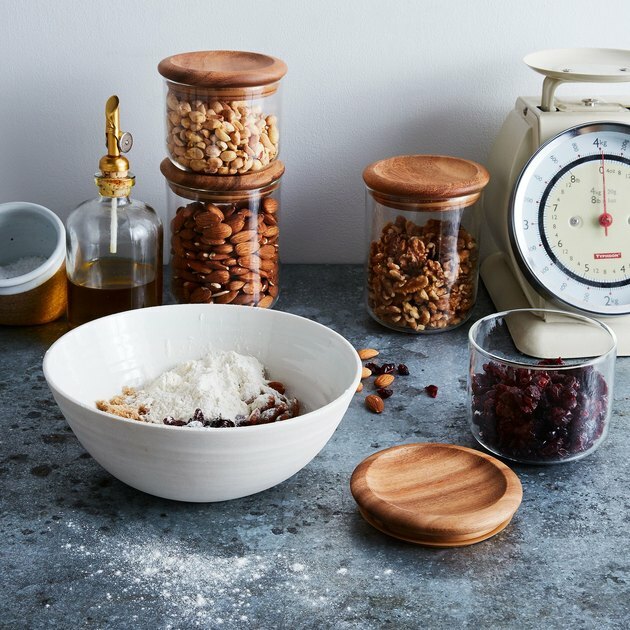 With three distinct vintage-inspired patterns you'll wish you could use these stoneware containers to store all of your food. Far from your parents' salt and pepper shakers, these minimally designed bottles with rubber surfaces and powerful grinding mechanisms will spice things up in no time. They can even be used to crush nuts, grains, and seeds, too.